The Maltese Falcon showed up in the area recently, for the hundredth time. Hohum? Far from it! Let there be a hundred more! Huston’s first film set the standard for his later work, a standard of excellence that has rarely been matched by his more recent films. In The Maltese Falcon Huston was already developing the pattern that would characterize his finest films: the introduction of an intrigue-suspense plot that’s soon completely subordinated to characterization. 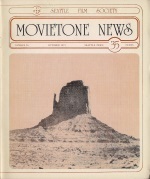 In films like The Treasure of the Sierra Madre, The African Queen and The Kremlin Letter, we become so taken with the characters, the human truths they represent, and the stylish manner in which they are portrayed, that the actual plot line becomes insignificant; and if the Maltese Falcon or the Kremlin letter should prove to have been red herrings all along, it matters not a whit. In 1539, the Knight Templars of Malta, paid tribute to Charles V of Spain, by sending him a Golden Falcon encrusted from beak to claw with rarest jewels – but pirates seized the galley carrying the priceless token and the fate of the Maltese Falcon remains a mystery to this day. That crawl appears following the opening credits of The Maltese Falcon, set to dreamy-sinister music and laid over a dark image of the peregrine statuary seemingly poised in some undiscovered tomb. The grammar is regrettable (surely it should be Knights-Templar? ), and suggestive of some haste. Was the foreword perhaps added at the last minute, in an act of desperation, after preview audiences had grown fidgety with reel upon reel of baroque conversations and ornately peculiar comings and goings in a collection of offices and hotel rooms purporting to be modern-day (1941) San Francisco? More than half the film elapses before anyone even mentions the titular bird, let alone accounts for its immense value and lurid history. Yet strike the keynote with that one-sentence prelude and the mantle of legend settles over the entire proceedings. 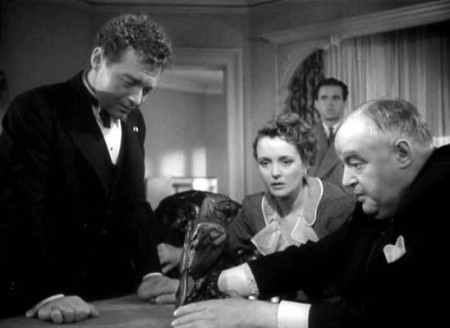 Of course, The Maltese Falcon has become positively encrusted with legend in the six decades since its release. It’s the classic hardboiled private-eye movie; the nervy maiden offering of its celebrated director, John Huston; the first glamorous star vehicle for Humphrey Bogart, an icon of American cinema and the 20th century’s definition of existential cool; and still the most triumphantly well-cast movie from Hollywood’s golden age (rivaled only by Casablanca). Watching The Maltese Falcon now, everybody and his brother know they’re in the presence of something extraordinary. But it’s tantalizing to contemplate how easily the brass ring might have been missed – how close the picture might have come to being just another detective thriller, like the two previous screen versions of Dashiell Hammett’s groundbreaking novel (respectively so-so, in 1931, and ludicrous, in 1936).